Just Gems has a wide selection of beautiful jewellery is stock. 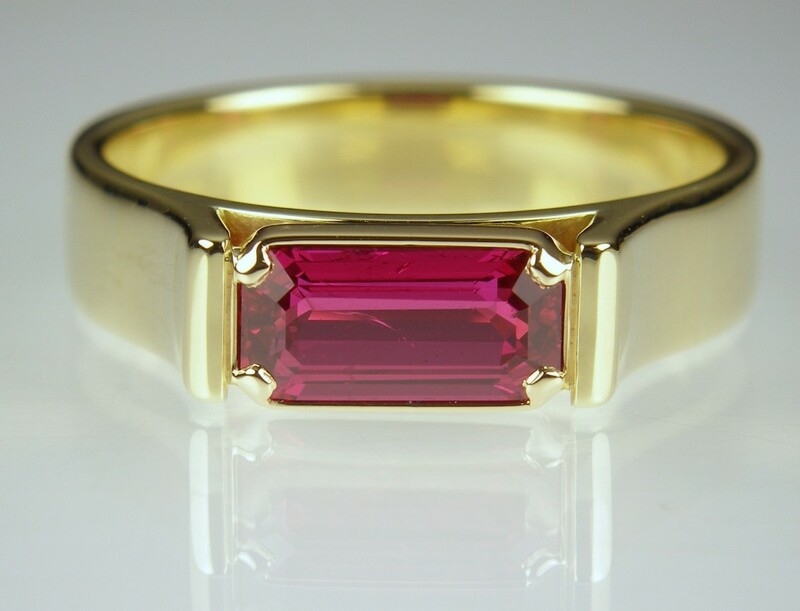 Each gemset jewel has been designed and manufactured by us in the UK, to the highest possible standards. Every piece is unique and handmade. We do not sell mass-manufactured jewellery of the sort that is available in most high street jewellers. In additon to gemset jewellery we have a large collection of pearls. Loose pearls are available in every size, shade and shape. We will string our loose pearls for you with a clasp of your choice. All our stringing and design work is done locally, and takes a maximum of a couple of days. 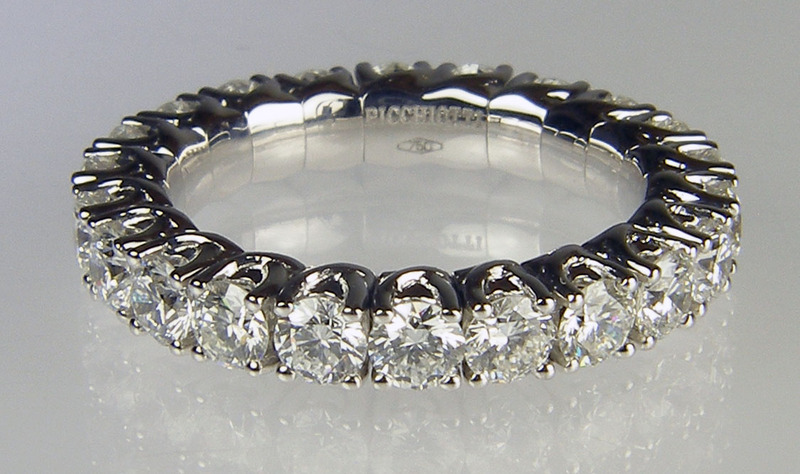 We are happy to discuss the options for remodelling your old jewellery and can advise on the cost and suitability of reusing your own gems and precious metals. If you wish to do this, please make an appointment using the Contact page. New to Just Gems is our range of expanding rings and bangles, which expand to allow for comfortable and secure wear. 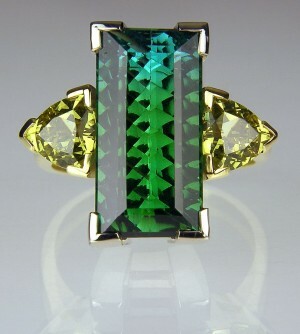 These beautifully designed pieces are manufactured to order in Italy and can be set with the gemstones of your choice. To find out more, view our Gallery or get in touch, we’d be delighted to tell you more. 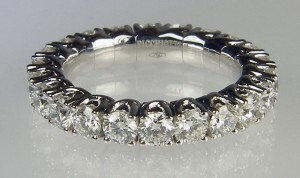 Picchiotti designed and manufactured expanding full set eternity ring. The ring is made with the diamonds mounted in jointed links connected to a superbly crafted highly durable titanium spring. 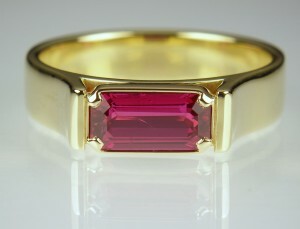 Bicolour concave cut tourmaline & trillion cut grossular garnet ring in 18ct yellow gold. 20x16mm.